Need some help when it comes to getting motivated? Me, too. Here is a playlist (courtesy of my computer) to help keep you musically inspired while you work out, make your way around town, commute to work or just surround yourself in mele Aloha. I was talking with a fellow musician recently about this song–and songs like it. She said she hated this kind of music. She felt it made Hawaiʻi (and the other Pacific Island nations) sound like a cliche. Something you’d see in a postcard. Not realistic. An oversimplified picture of “tropical paradise.” And I understand what she’s saying–to a certain extent. And the song has all of the fantastic earmarks of the era! Andy Cummings is one of my favorite Hawaiian crooners. He can make you swoon when he croons. A famous song that’s been recorded by many folks. But this week, it was Aunty Diana Aki’s version that stole my heart. There’s something magical in the way she sings the song. A simple accompaniment helps to bring it to life–and doesn’t diminish the song or the story. And Aunty Diana’s voice…WOW! Folk-style and refinement married beautifully (seamlessly!) in one voice! For another great telling of the story, please check out the book CLOUDS OF MEMORIES by Aunty Mona Kahele. It’s an outstanding book full of great stories and information by an elder from the island of Hawaiʻi. From the spoken introduction by a beloved kupuna/elder to the last note, this song R.O.C.K.S! In their signature harmonies, Nā Palapalai soar into the stratosphere in modulation after modulation with amazing falsetto! The song feels like a traditional hula–and yet it’s “amped up” by a piano–something my ear isn’t used to hearing in many Hawaiian recordings. What a wonderful addition! Triple love it. Start to finish-they take you on a journey, for sure. Amazing! *Please click HERE to visit Nā Palapalai’s website. When I listen to the voice of Israel Kamakawiwoʻole, I’m instantly transported back to a different time. His voice helped introduce me to Hawaiian music. His voice acted as a touchstone for me when my world was dark and cloudy. An anchor keeping me grounded and steady. And HAPPY! This song always makes me smile. Love it. 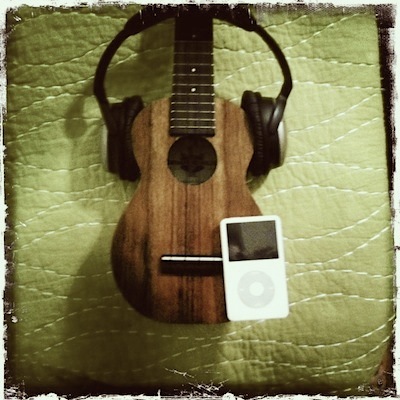 Love the bouncy ʻukulele that accompanies his gentle voice. Love the echo/reverb that’s used–it almost makes his voice sound like it’s coming from so far away. Love the song’s lyrics–how it describes the magical “Garden Isle” of Kauaʻi. A great song + an amazing singer = a winning combination. *Please click HERE to visit the official IZ website. Her husband, the amazing John Keawe, wrote this song about his wife–she’s his beloved companion and his muse! *Please click HERE to visit Hope’s page on John’s website. **Crooner Note: This week’s TOP 5 is dedicated with love to the memory of a good friend, Braddah Allan. Mahalo for encouraging me… and for celebrating Hawaiian music and culture. We miss you. I was feeling like I needed a good, solid dose of AMAZING Hawaiian falsetto singing today. And I turned to Uncle Kai Davis–one of the best. Hands down. And this song is so outrageously wonderful–simple with verses that are only two lines long. A simple chord structure. And yet it evokes the essence of the islands INSTANTLY. I am fascinated by the island of Niʻihau and hope to be able to visit there someday. Until then, I’m happy to listen to Uncle Kai’s voice sing its praises. My mom’s family lives in the foothills of the Appalachian Mountains. Country music is a driving force in that terrain. I remember listening to awesome story songs when I’d go there to visit as a kid. 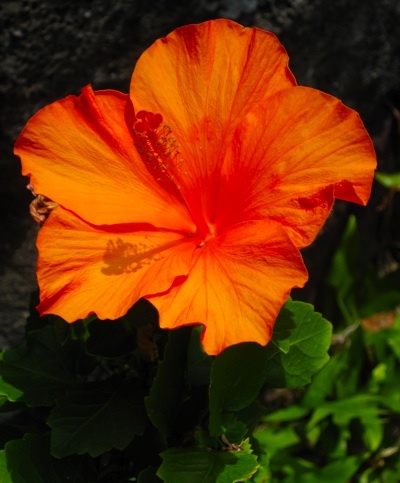 When I first heard Hawaiian music, I instantly recognized the similarities. A story presented in language of the people, for the people. And Aunty Melveen Leed, with her signature voice and amazing Hawaiian-country style, marries the two beautifully! This song talks about “Paniolo country” or Hawaiian cowboy country. A nod to her Molokai roots, maybe? Love the song. Love her. *Please click HERE to visit Aunty Melveen’s page at Tidal Wave Entertainment, Inc.
Wanna hear voices that soar into the stratosphere? Check out this recording! It’s no secret: I LOVE NĀ PALAPALAI! They keep that “old-style” Hawaiian music alive and in the public eye–and ear! This track, written by Uncle Dennis Kamakahi, is a favorite for sure. Their arrangement of it rocks. True story! And yes… this song was on the list from last week, but IT’S STILL ROCKING MY CORE THIS WEEK. I needed some Keola Beamer music in my world this week. And I love this song–the story of how he encountered Old Man Pueo–a Hawaiian owl. This song talks about yearning to be free. And sometimes NYC can feel kind of–well–restricting. So many people. So many obligations. I understand that craving. I get it. 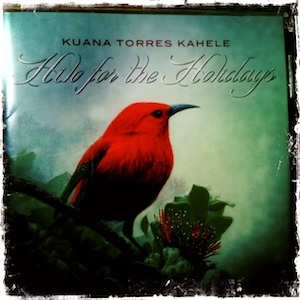 Mahalo, Keola,for sharing this song–both its story and your wonderful musicianship. *Please click HERE to visit Keola’s website. If the title of this album by Nā Palapalai was in English, it might be called “Pleasant Breezes.” What is the name of the album? You guys know your Nā Palapalai albums! Right on! The correct answer is D. Makani ʻOluʻolu! And this week’s winner, chosen randomly from all of the correct answers, is… (Drum roll, please…) TINA EGGERT! Congrats, Tina! That makes you an Aloha Friday Trivia Superstar! A giant MAHALO to all of you for playing along this week. Hope you’ll play along next week, too. Have a great weekend, gang!